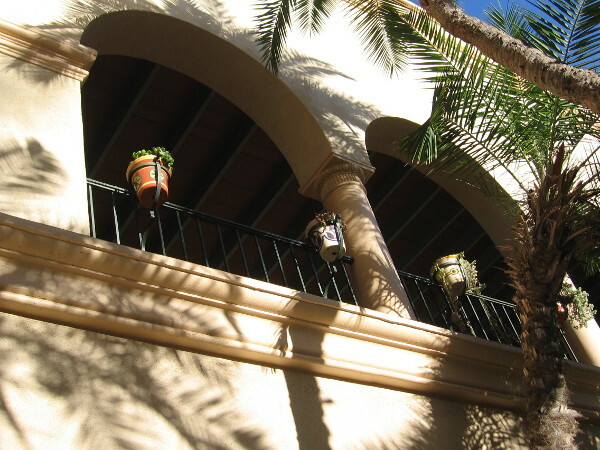 buildings – Beautiful Balboa Park! 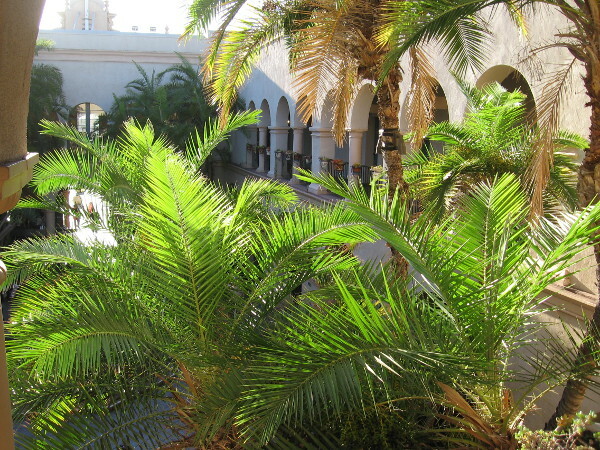 House of Hospitality courtyard garden replanted! 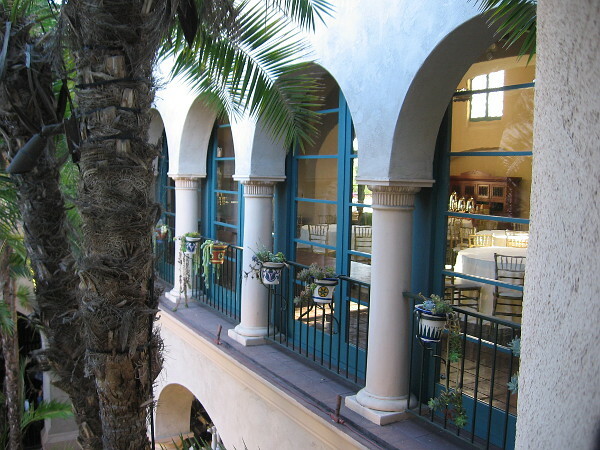 Some say the House of Hospitality is the heart of Balboa Park. I can understand why. 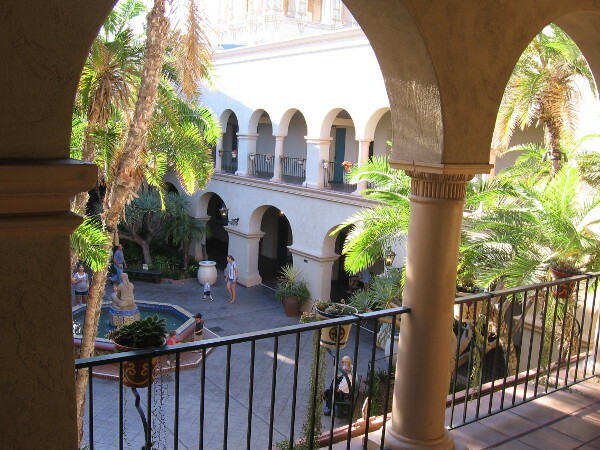 Visitors who pass through the courtyard colonnade might feel they’ve wandered into a beautiful dream. 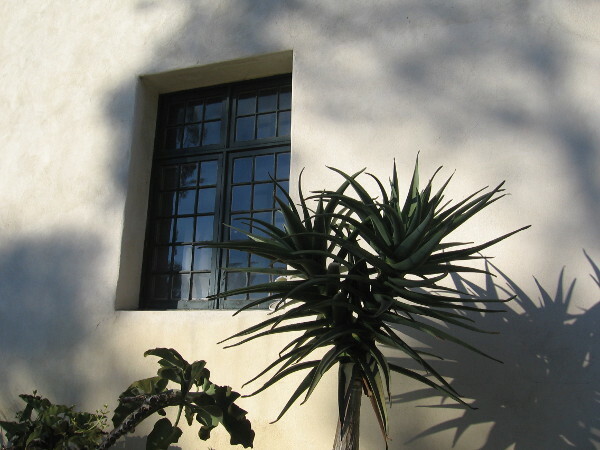 The House of Hospitality’s fantastic architecture, interior garden and iconic sculpture by Donal Hord appear like a painting of paradise. 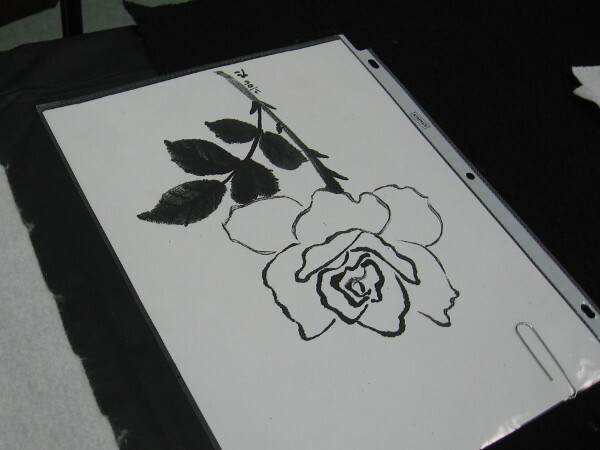 An eternal canvas into which the living step–if only for a moment. 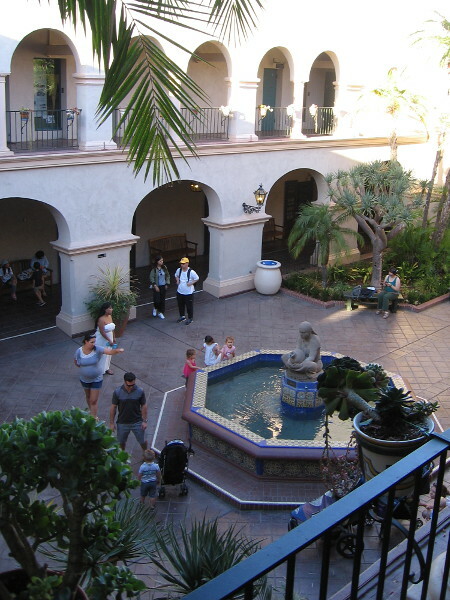 With the recent refreshing of the historic garden’s four corner planters, the Spanish Colonial courtyard is more alive and welcoming than ever. 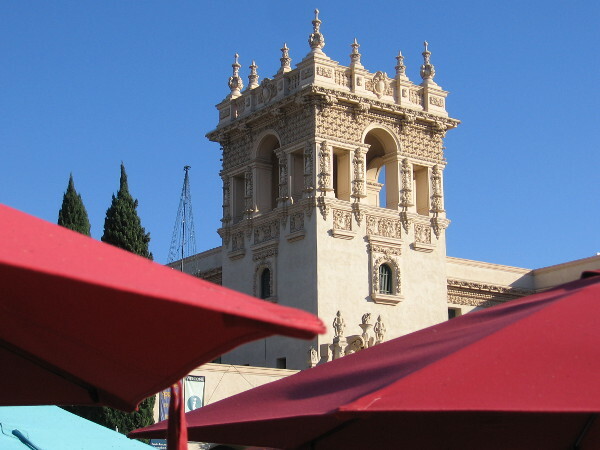 Originally created for the 1915 Panama-California Exposition, the House of Hospitality was rebuilt by architect Richard Requa for the 1935 California Pacific International Exposition. 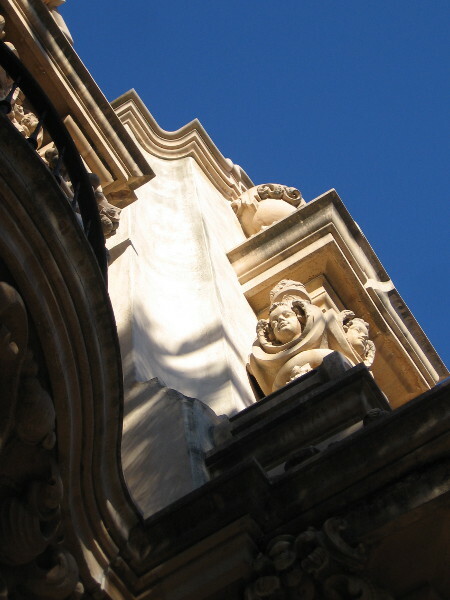 In 1997 the building was recreated as accurately as possible from historical documents. 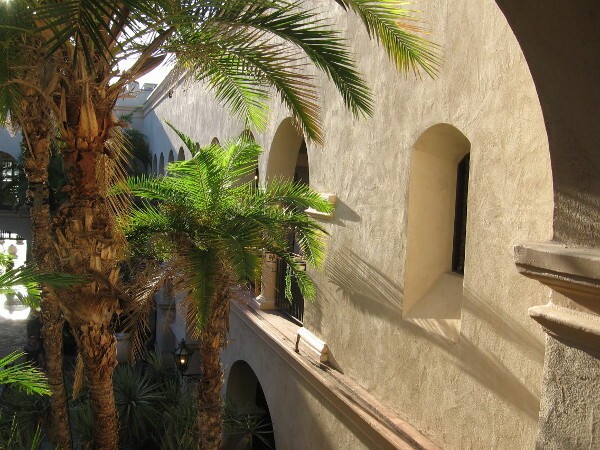 Before sunset today I walked about the courtyard, read a sign which described the garden’s revitalization, then climbed stairs to the second floor balcony. 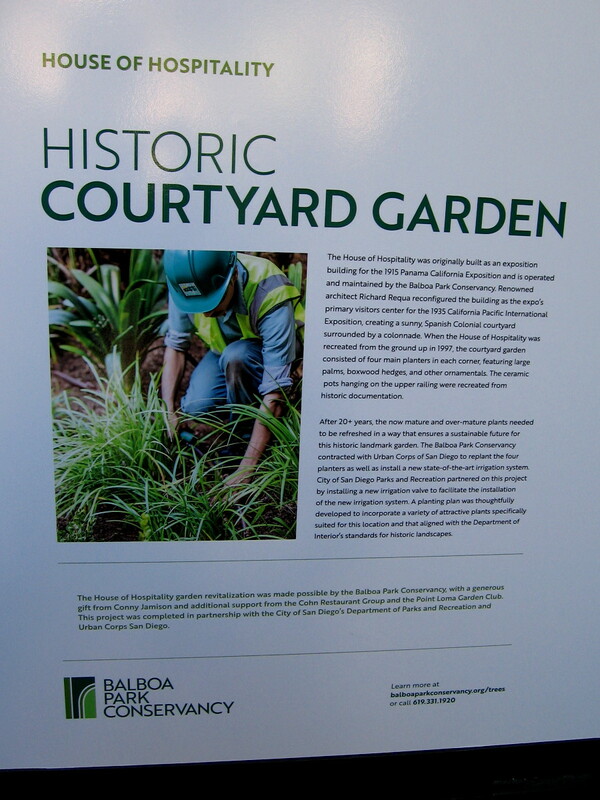 Sign explains how aging plants in the House of Hospitality’s courtyard garden were replanted and refreshed, with the help of Urban Corps of San Diego. 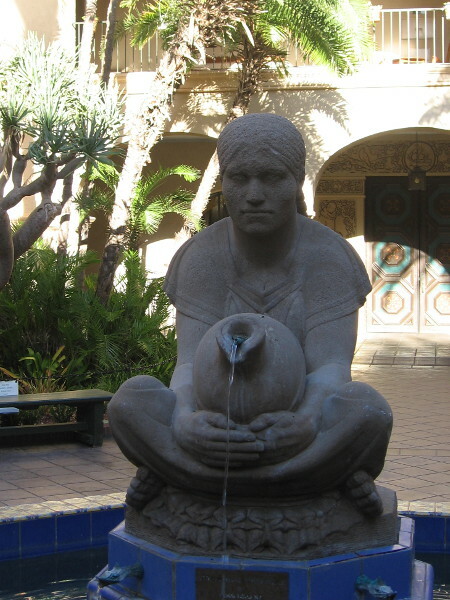 At the center of the House of Hospitality’s courtyard is Woman of Tehuantepec, a 1935 sculpture and fountain by Donal Hord. 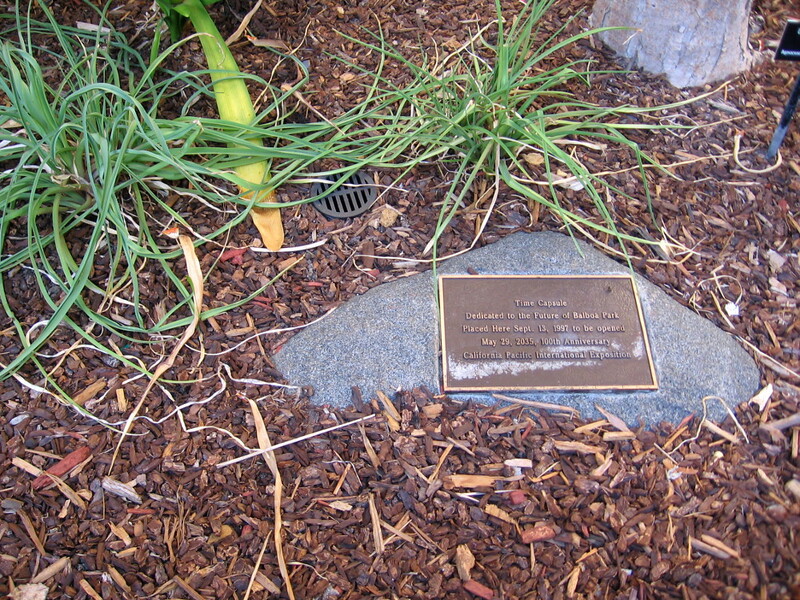 In one of the four planters is a time capsule placed on September 13, 1997, to be opened May 29, 2035, the centennial of the California Pacific International Exposition. 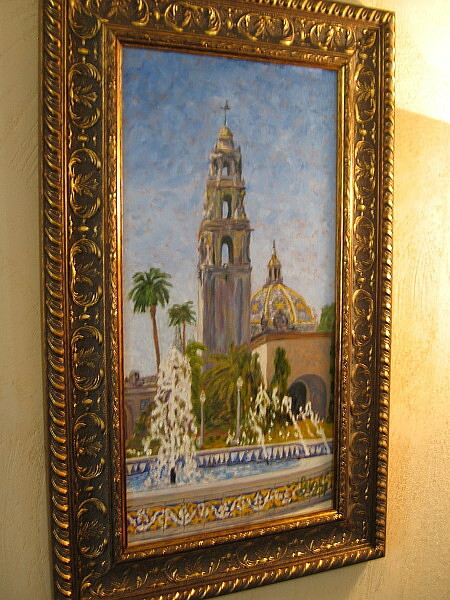 Posted on September 18, 2018 Tags architecture, balboa park, beautiful, buildings, california pacific international exposition, dreams, gardens, house of hospitality, light, panama-california exposition, photography, plants, san diego, treesLeave a comment on House of Hospitality courtyard garden replanted! 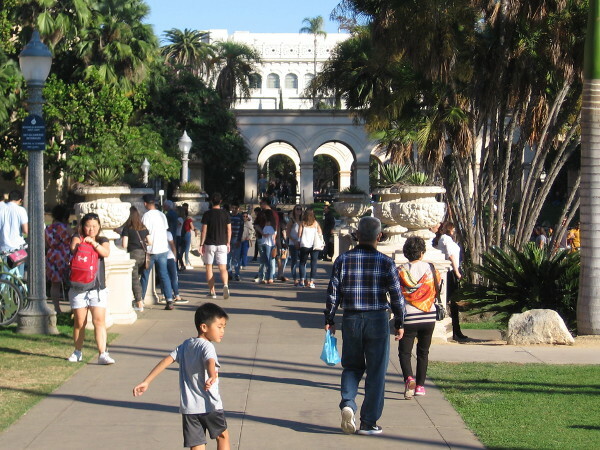 Lots of smiles, fun and beauty in Balboa Park! 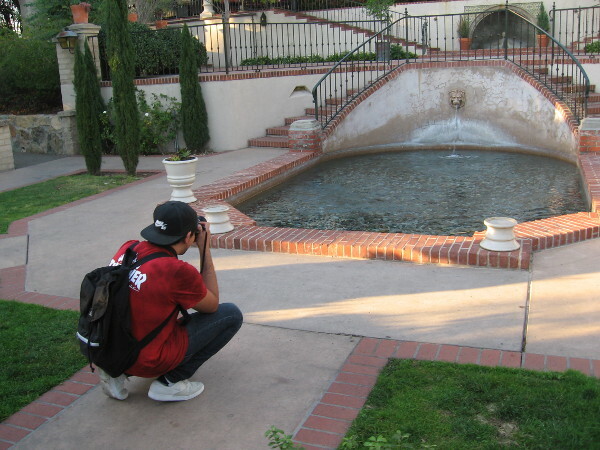 Photographer aims at beautiful fountain in the Casa del Rey Moro Garden in Balboa Park. 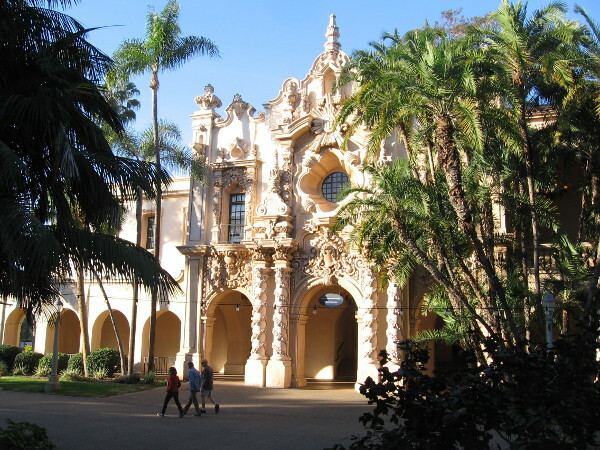 Today I found lots of smiles, fun and beauty as I walked around Balboa Park! But what else is new? Every visit is wonderful! 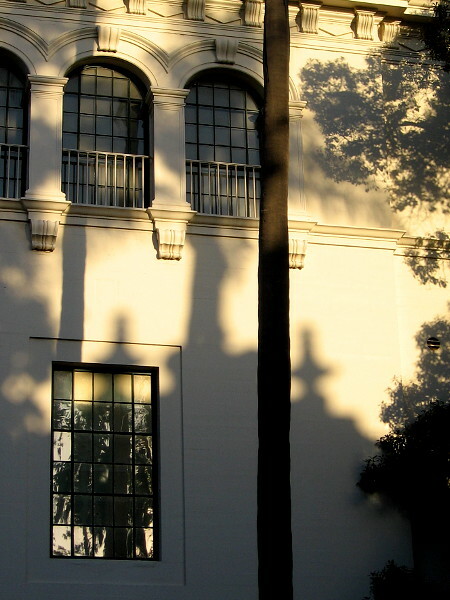 People walk down El Prado past the amazing Casa del Prado. 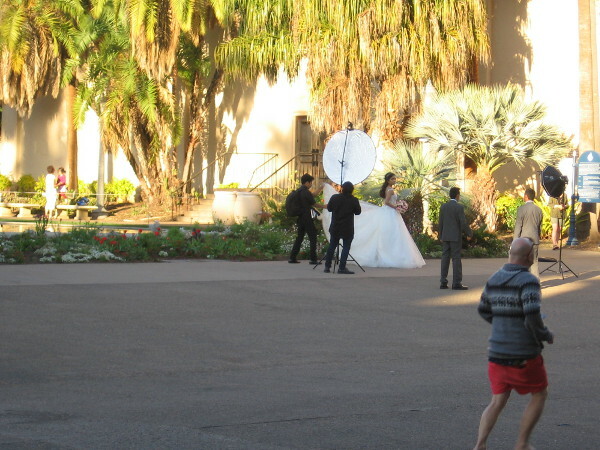 Heavenly wedding photography near the Lily Pond in Balboa Park. 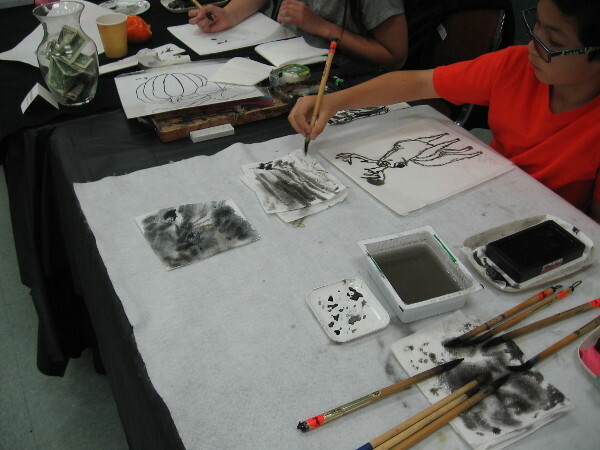 Smiling ladies with the San Diego Museum of Art were getting art supplies ready for a youth event this evening. 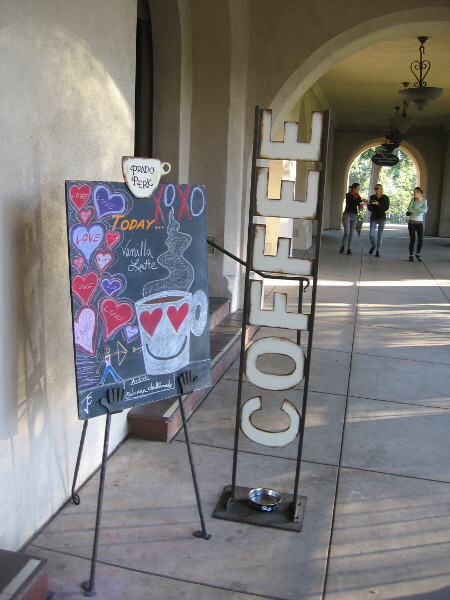 More smiles from volunteers at a table outside the Balboa Park Visitors Center. A coffee mug with hearts for eyes outside the House of Hospitality. It must be almost Valentine’s Day. 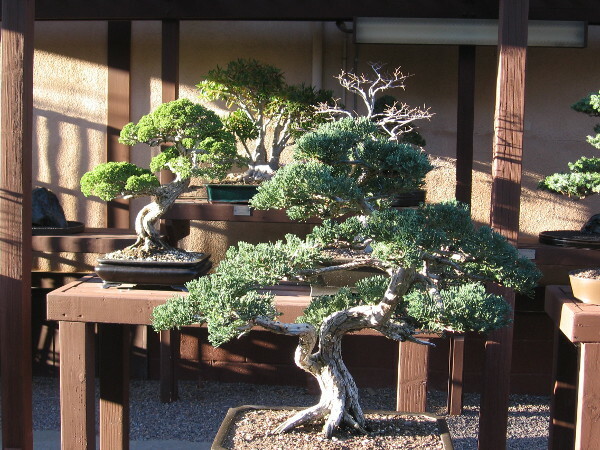 Bonsai in the always beautiful Japanese Friendship Garden. 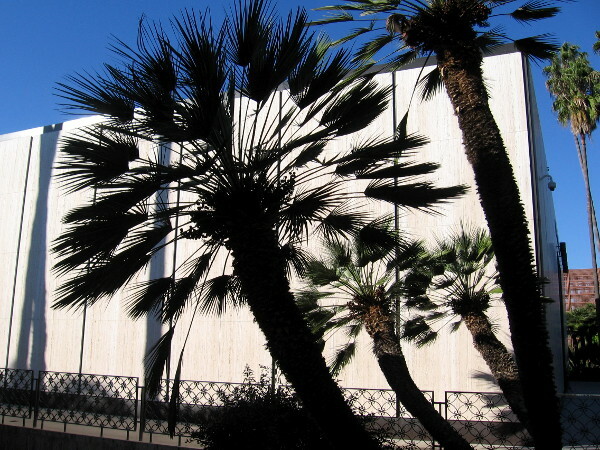 For fun, enter the San Diego Air and Space Museum! 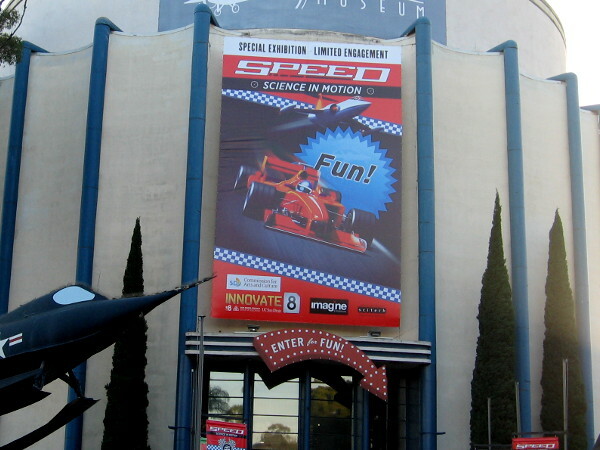 They’ve got a new interactive exhibit about Speed! 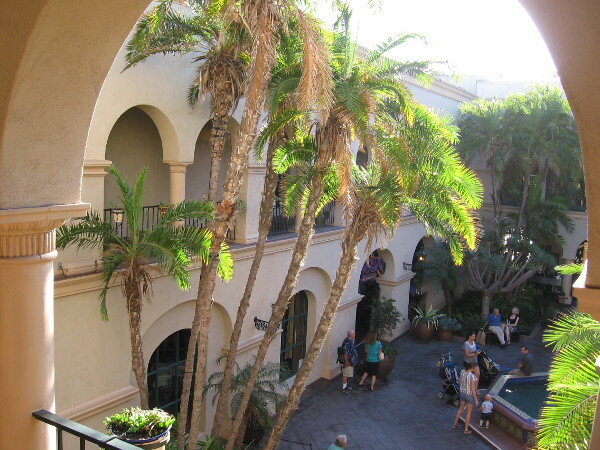 Fantastic beauty seen by few visitors, from the parking lot behind the Casa de Balboa. Almost time to head home. 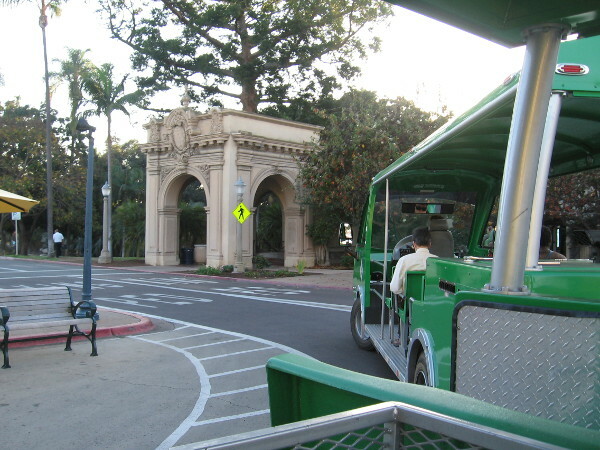 I hopped on the green Balboa Park shuttle at the Plaza de Panama. 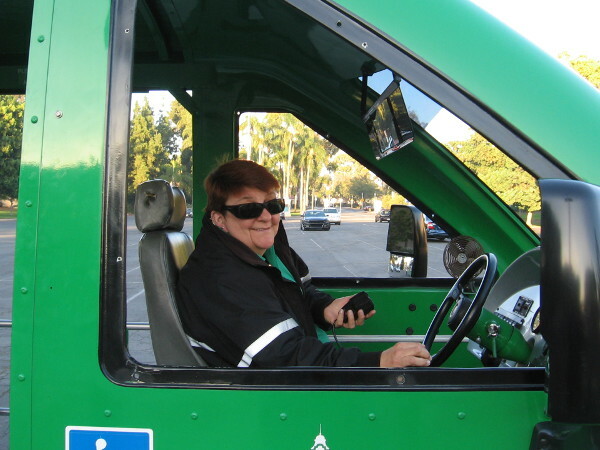 And as I departed, I got a bonus smile! 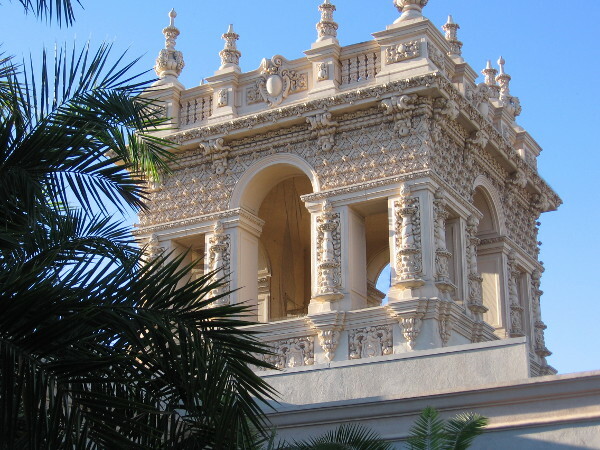 Posted on February 1, 2018 Tags architecture, balboa park, beautiful, buildings, el prado, fun, gardens, happy, people, photography, san diego, tourism, travel, walkingLeave a comment on Lots of smiles, fun and beauty in Balboa Park! 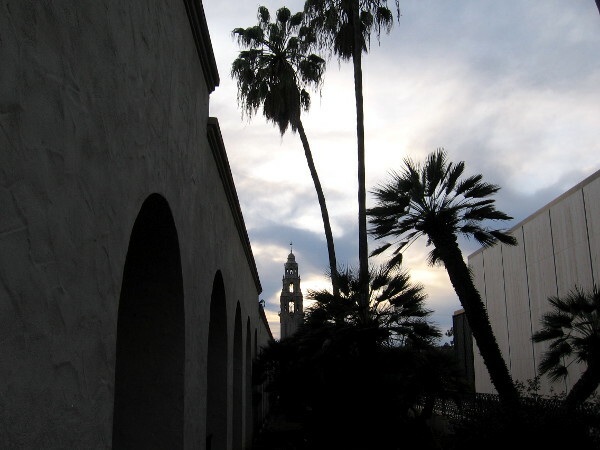 Another day gently ends in Balboa Park. 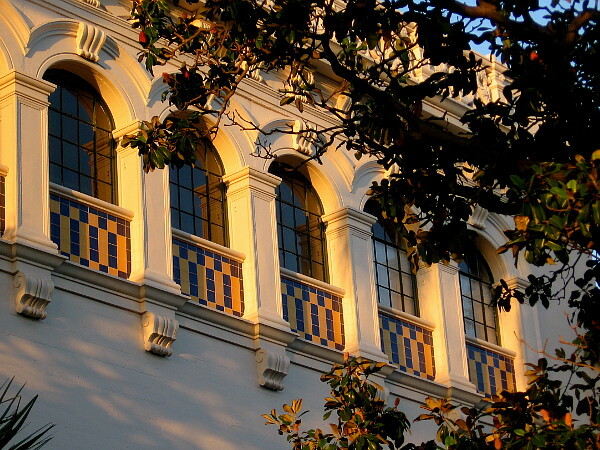 Another day nears its end in beautiful Balboa Park. I got off work a couple hours early today. 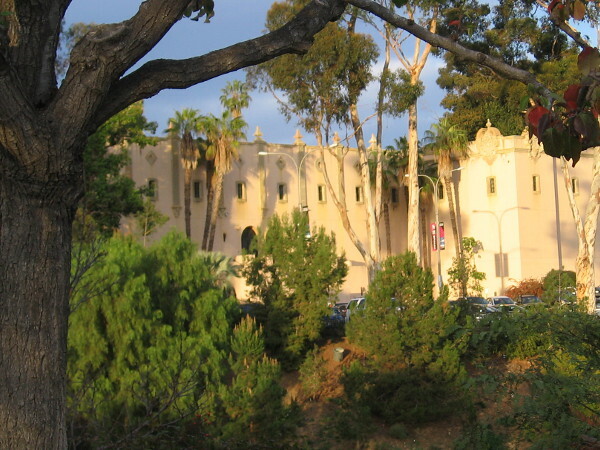 To enjoy the remaining daylight, I headed over to Balboa Park. 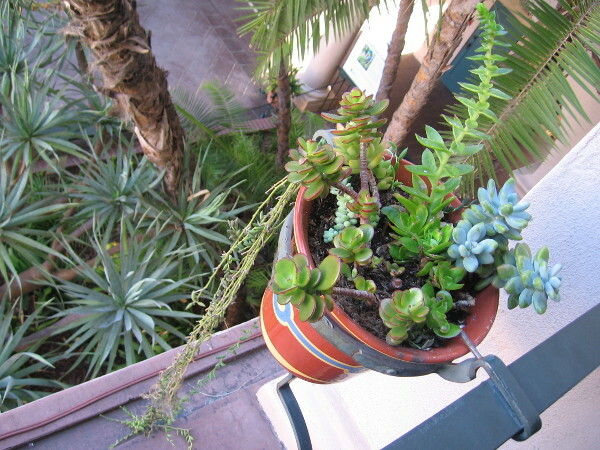 A late January weekday was gently drawing to a close. 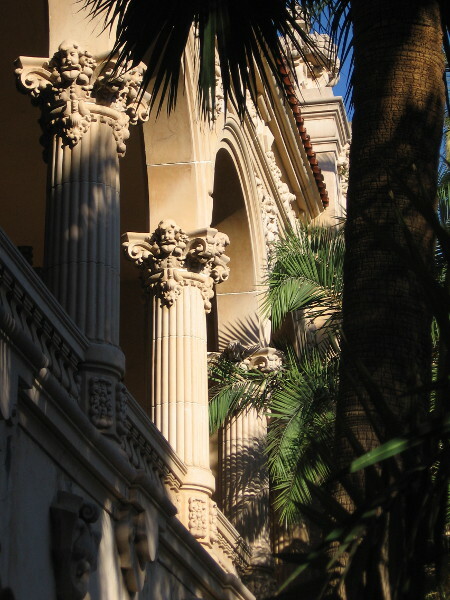 Late light on the Casa del Prado’s colonnade. A bit of daylight remains. 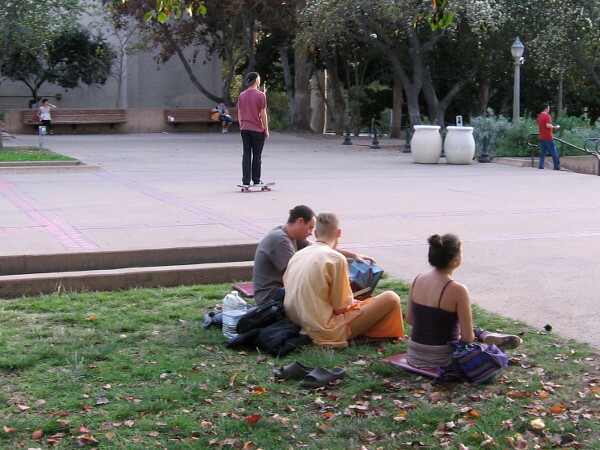 People meditate on some grass in Balboa Park. 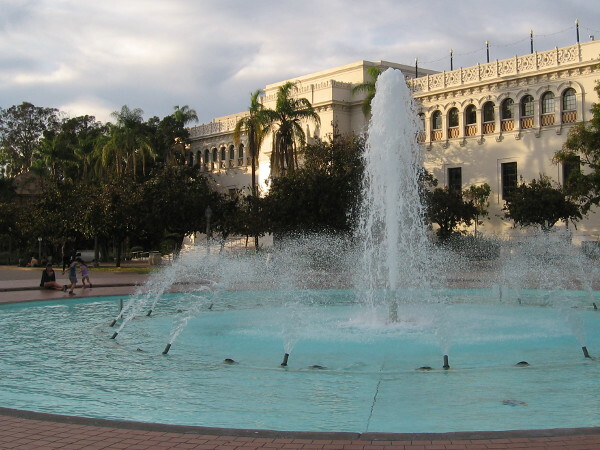 A quiet late January afternoon at the Plaza de Balboa and Bea Evenson Fountain. 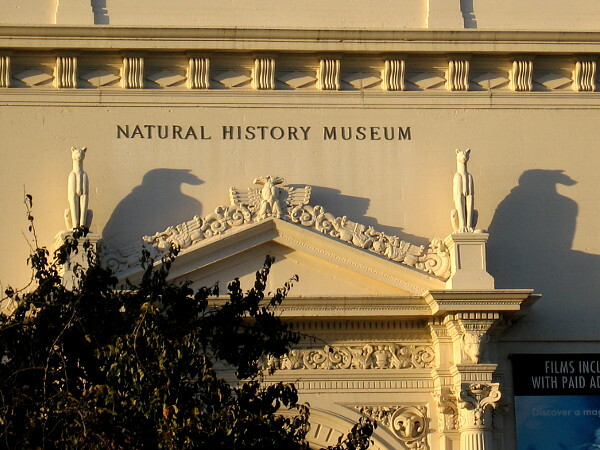 The San Diego Natural History Museum shines in the last rays of sunlight. 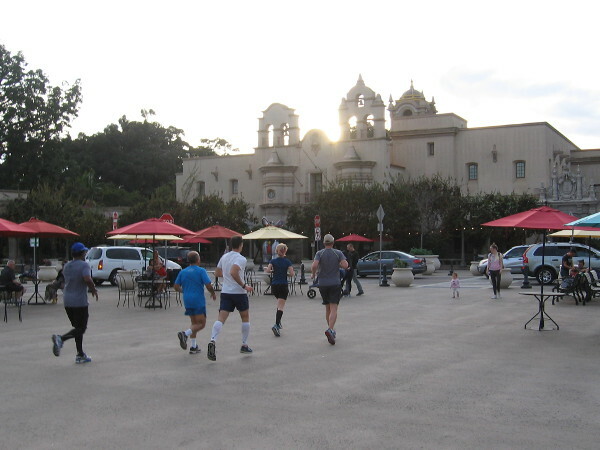 Joggers pass through the Plaza de Panama as the sun falls behind the House of Charm. 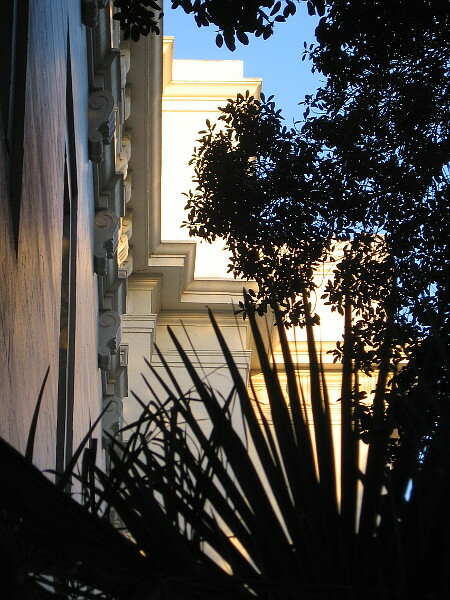 Sunlight illuminates the rear of buildings lining El Prado, as seen from the Japanese Friendship Garden. 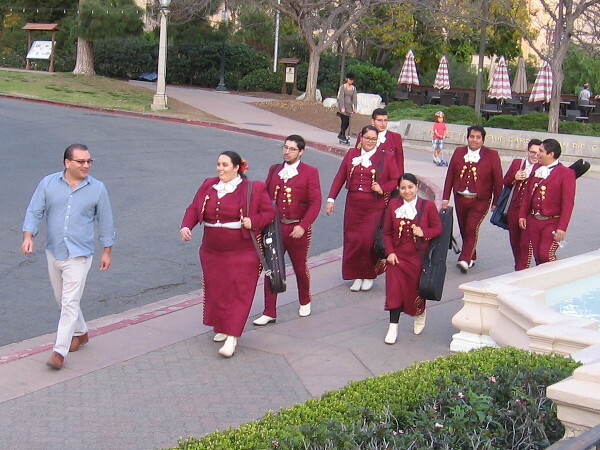 A group of smiling mariachis walks near the Spreckels Organ Pavilion. The Tea Pavilion has closed for the day. 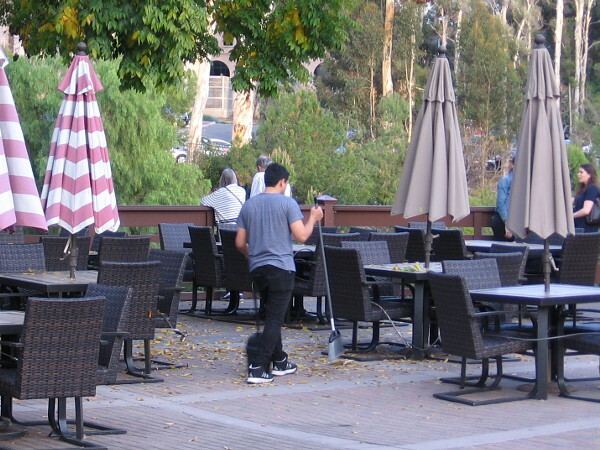 Time to sweep leaves from the patio. 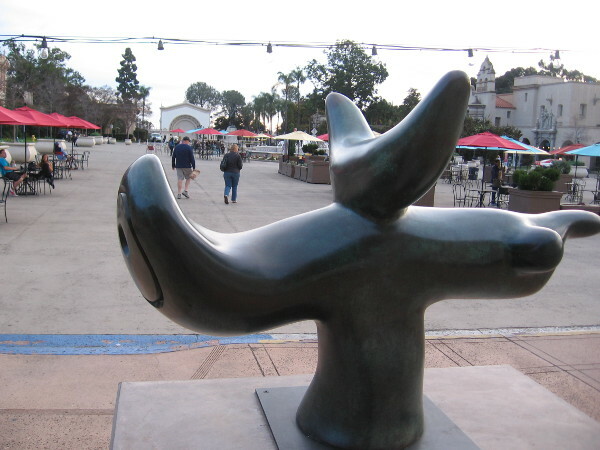 People enjoy the remaining daylight near Joan Miro’s sculpted Solar Bird, near the entrance of the San Diego Museum of Art. The sun is getting ready to set. Clouds become luminous behind the California Tower. 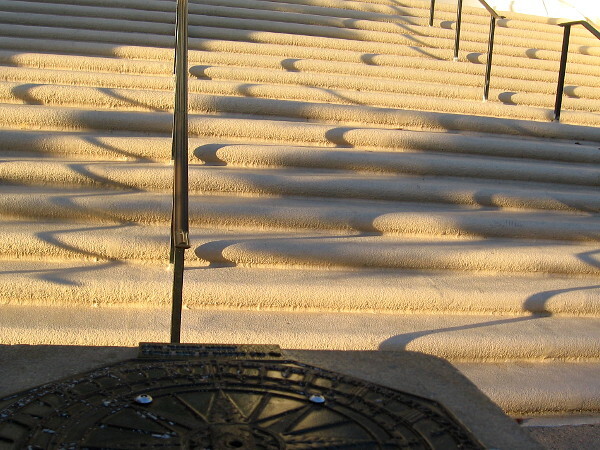 Posted on January 30, 2018 Tags architecture, art, balboa park, beautiful, buildings, evening, life, light, people, photography, san diego, sunshine, tourism, travelLeave a comment on Another day gently ends in Balboa Park. 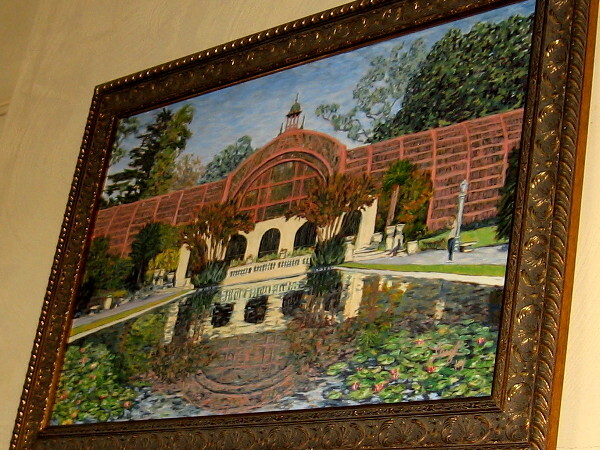 Paintings in Balboa Park Conservancy Board Room. 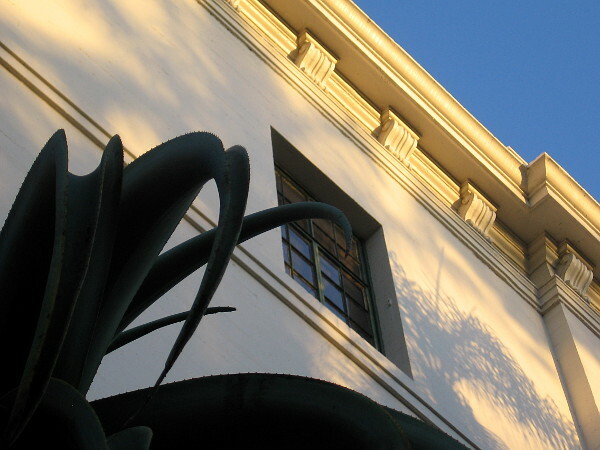 Botanical Building, Leigh Cohn, 2014. 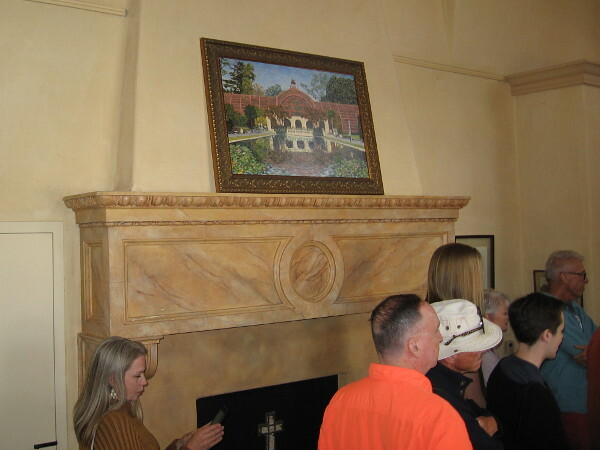 Last year I went on a behind-the-scenes tour of the House of Hospitality that included a look inside the Balboa Park Conservancy Board Room. There was a whole lot to see, and only a few minutes to snap photos. 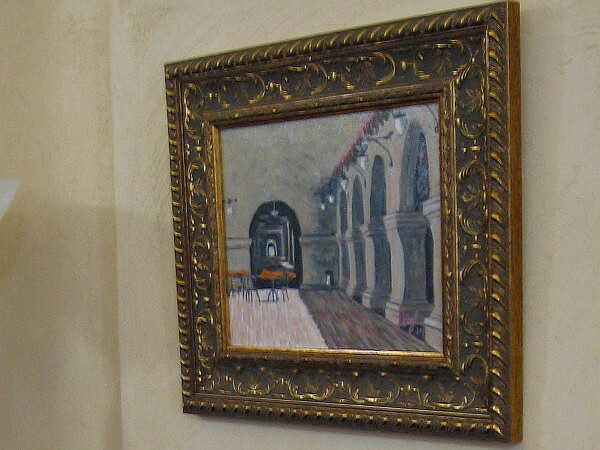 I did manage to frame with my camera several paintings in the boardroom. 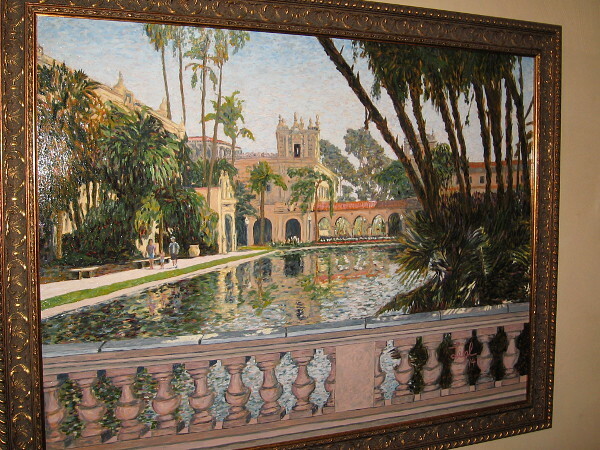 They were painted by Leigh Cohn in 2014 for the Balboa Park Centennial. 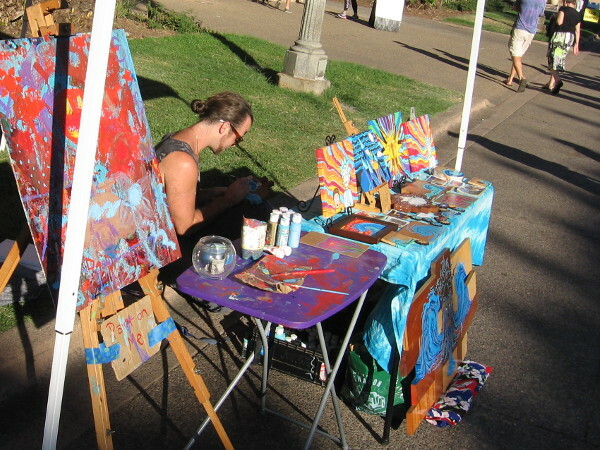 My quick photos provide an imperfect glimpse of the colorful artwork. I’m not sure what the decorative object is on the small wooden table. I can find nothing about it on the internet. 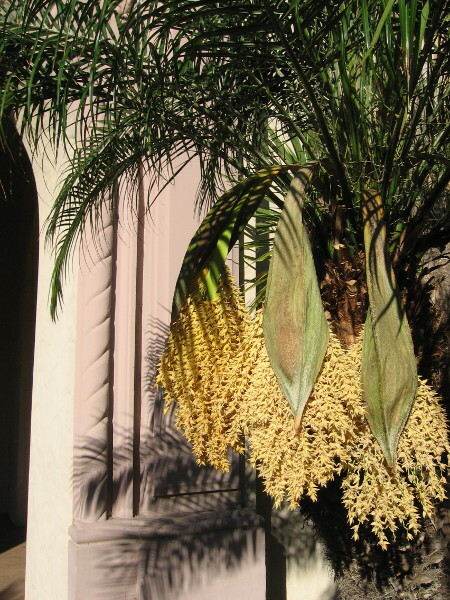 My hunch is it was used atop the old Balboa Park Community Christmas Tree, before the tree became too old and fragile to support ornaments. 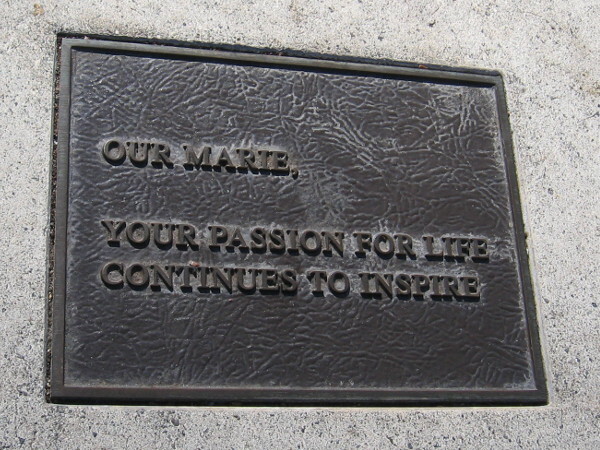 Just my guess–probably wrong! Please leave a comment if you know something! If you ever have the opportunity to take a behind-the-scenes tour through the House of Hospitality, I definitely recommend it! 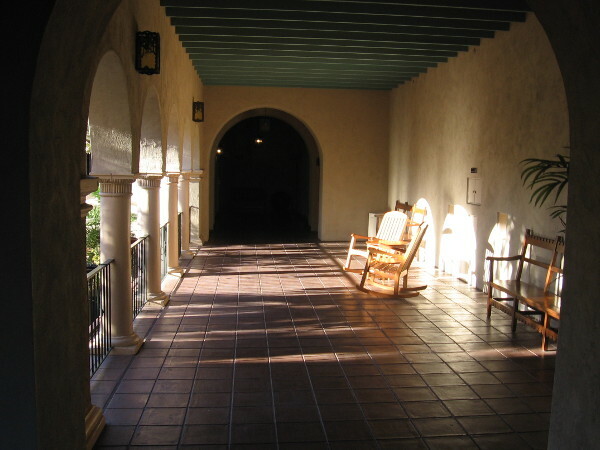 There are a variety of beautiful rooms in the building that are usually inaccessible to the public. 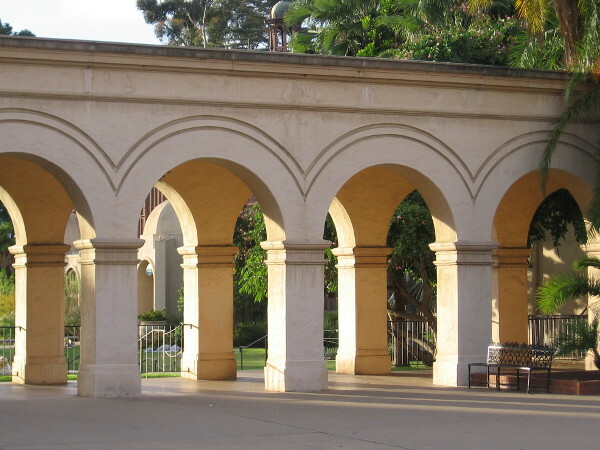 For those interested in Balboa Park’s history, the tour is a must! 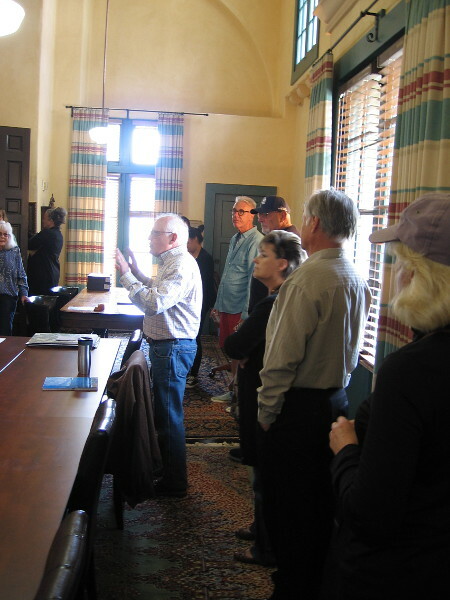 Visitors to Balboa Park enjoy a tour of the Balboa Park Conservancy Board Room in the House of Hospitality. David Kinney, a Balboa Park Conservancy Board Member, provides a special tour of their boardroom in the House of Hospitality. 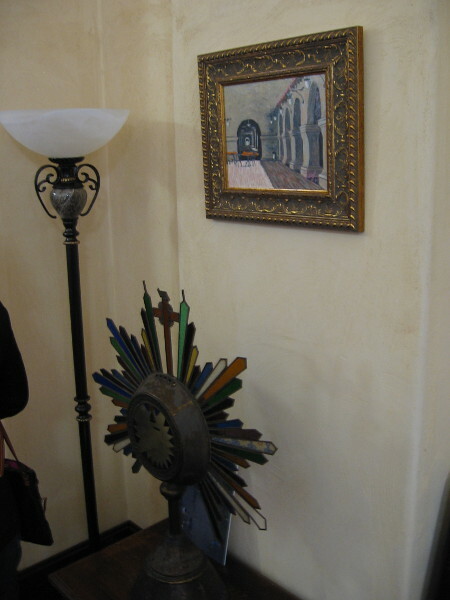 Artwork in the Balboa Park Conservancy Board Room includes a fascinating piece on a small wooden table. 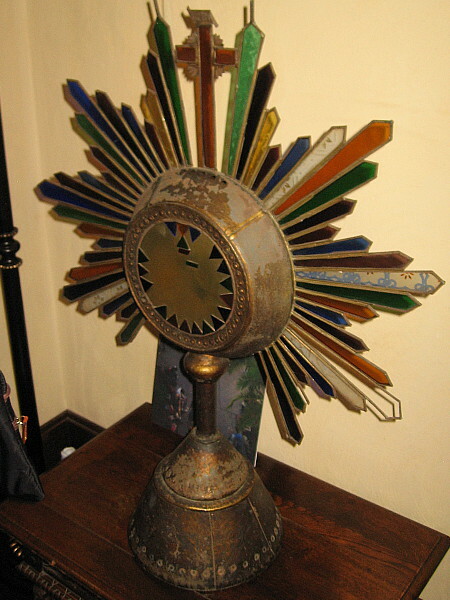 Topped by a cross, rays of colored glass extend outward from what appears to be weathered brasswork. 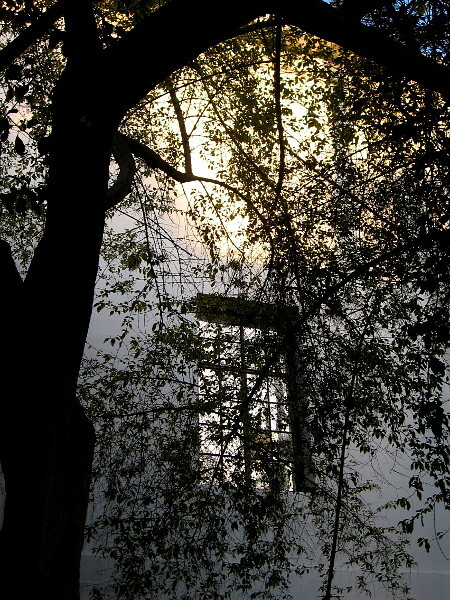 Before the Park Opens, Leigh Cohn, 2014. Tower, Globe and Fountain, Leigh Cohn, 2014. Lily Pond Facing South, Leigh Cohn, 2014. 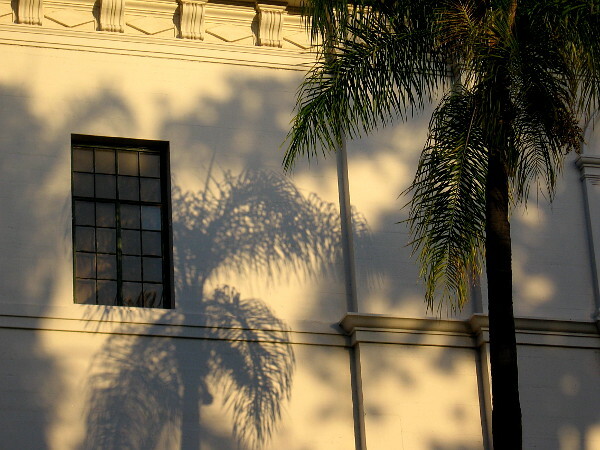 Posted on January 10, 2018 Tags art, artists, balboa park, Balboa Park Conservancy, buildings, centennial, color, history, house of hospitality, painting, photography, tour1 Comment on Paintings in Balboa Park Conservancy Board Room. 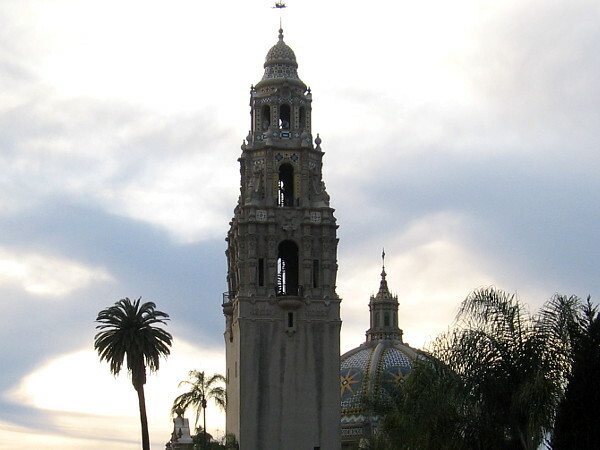 Passion, life and inspiration in Balboa Park. 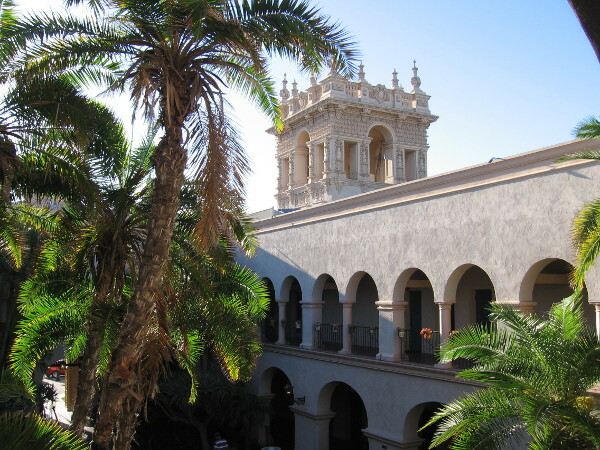 Walk around beautiful Balboa Park and you will discover passion, life and inspiration. Everywhere. Please enjoy some photographs that I took over the weekend. Do you like to read original, thought-provoking fiction? 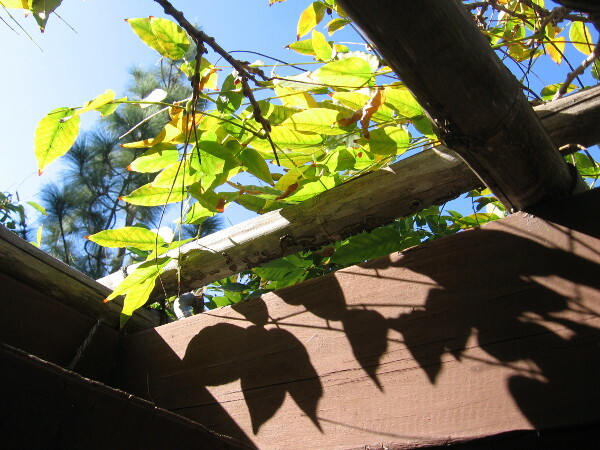 To read a few stories about life that I’ve written, click Short Stories by Richard. 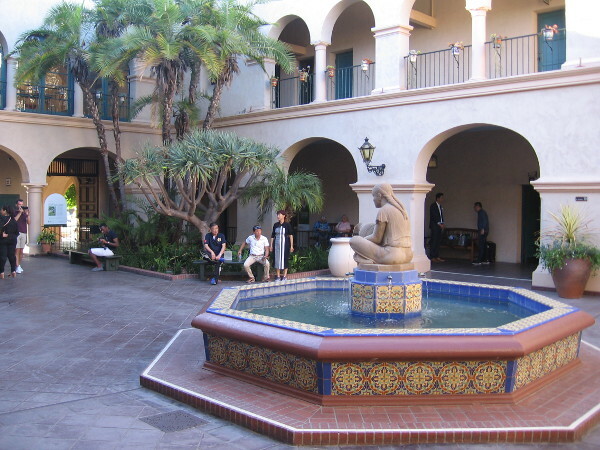 Posted on November 27, 2017 November 27, 2017 Tags architecture, art, balboa park, beautiful, buildings, culture, inspiration, life, painting, people, photography, san diego, trees, walking4 Comments on Passion, life and inspiration in Balboa Park. 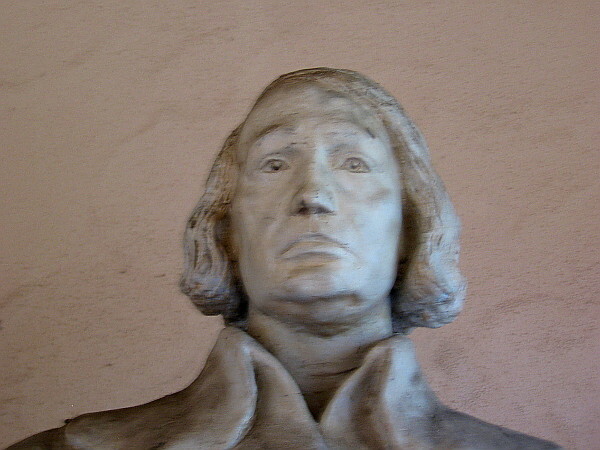 The faces of the Panama-California Sculpture Court. Anglo-Saxon Queen, 1914. Staff plaster original statue from the Varied Industries Building. Henry R. Schmohl, modeler. 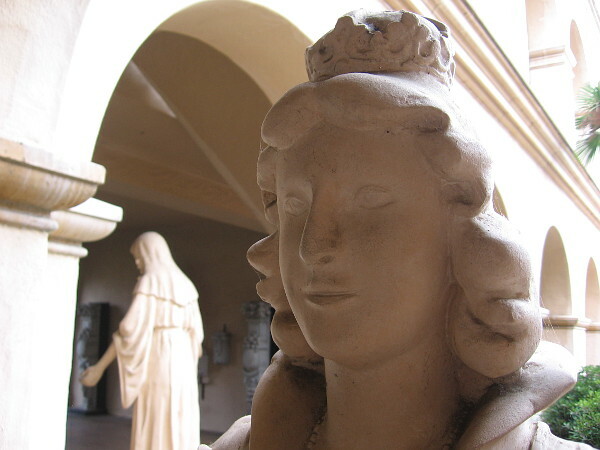 Visitors walking through the Panama-California Sculpture Court in the Casa del Prado are greeted by many unexpected faces–faces that peer out of San Diego’s past. 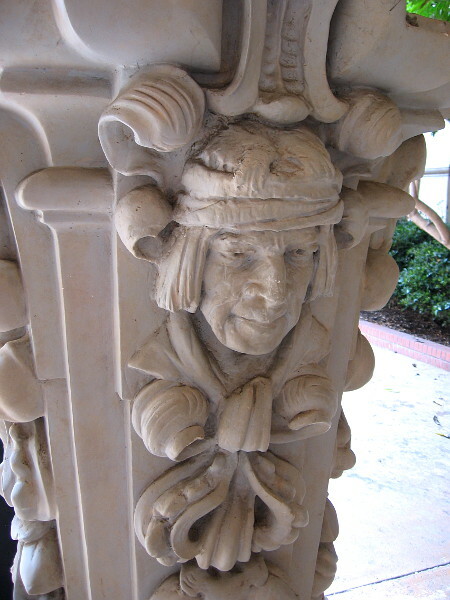 The sculptures in the building’s courtyard were used in various ways to decorate the facades of buildings in Balboa Park during its colorful history. 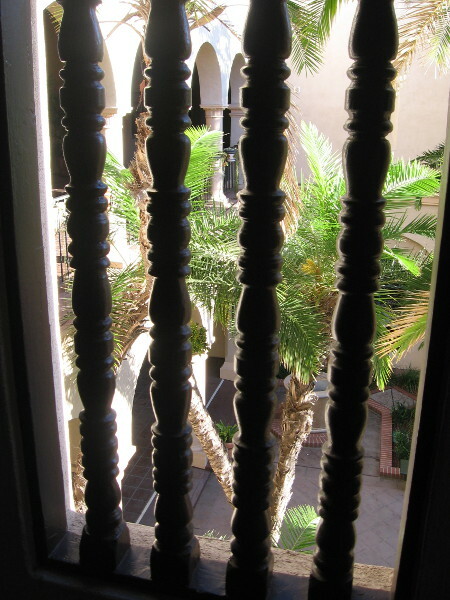 Most of the pieces are made of staff, which is a type of plaster reinforced with fibers. 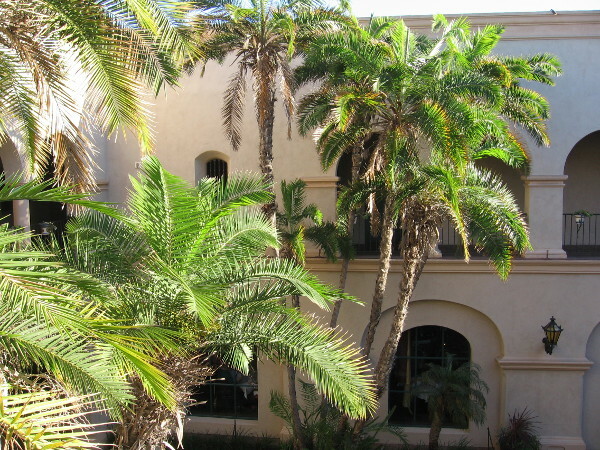 The artwork in the Panama-California Sculpture Court was rescued in 1975, found abandoned in a corner of the Casa de Balboa. Please read the photo captions for information about each piece. 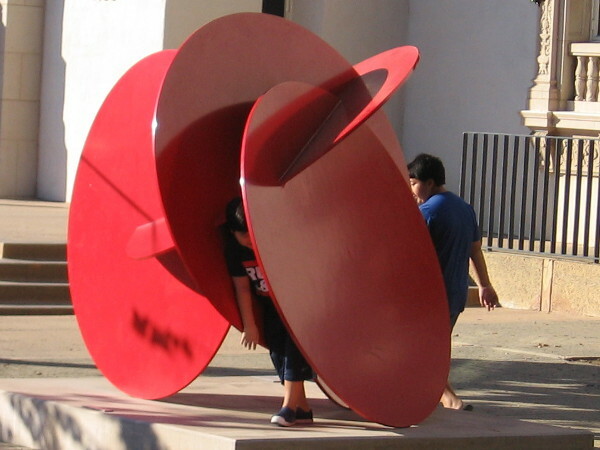 One of several fantastic pieces of rescued art in the Panama-California Sculpture Court at the Casa del Prado. Religion, 1914. Original staff plaster statue from the Varied Industries Building. Henry R. Schmohl, modeler. 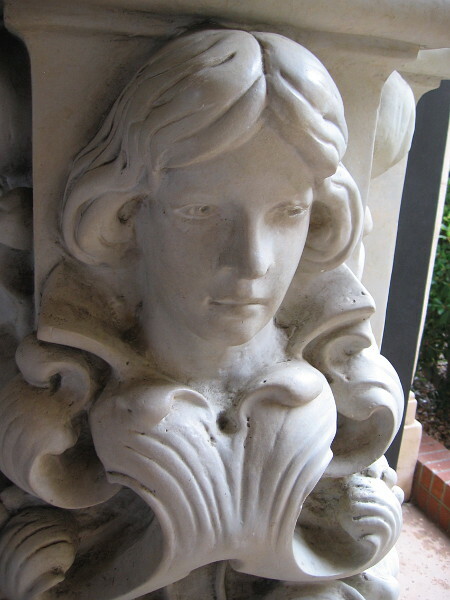 Mission Indian Head Pilaster, 1914. Staff plaster original from the Varied Industries Building. Henry R. Schmohl, modeler. Spanish Conquistador, 1914. Staff plaster original vignette from the Varied Industries Building. Henry R. Schmohl, modeler. Grotesque Mask, 1914. 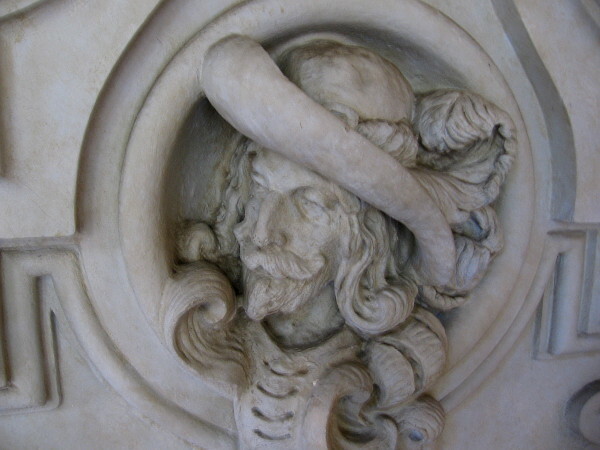 Original staff plaster statue from the Varied Industries Building. Henry R. Schmohl, modeler. 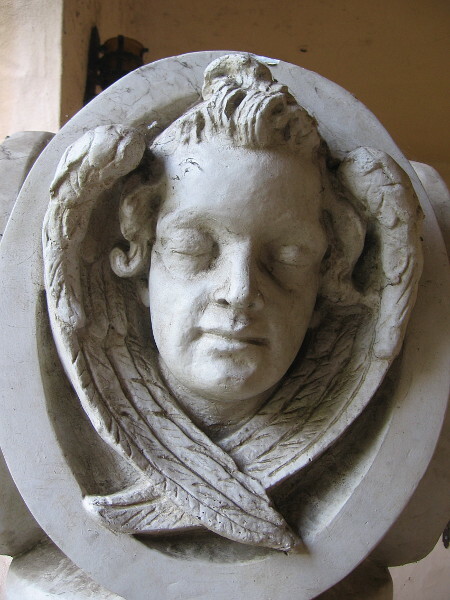 Angel Head Pilaster, 1914. Staff plaster original ornamentation from the Varied Industries Building. Henry R. Schmohl, modeler. 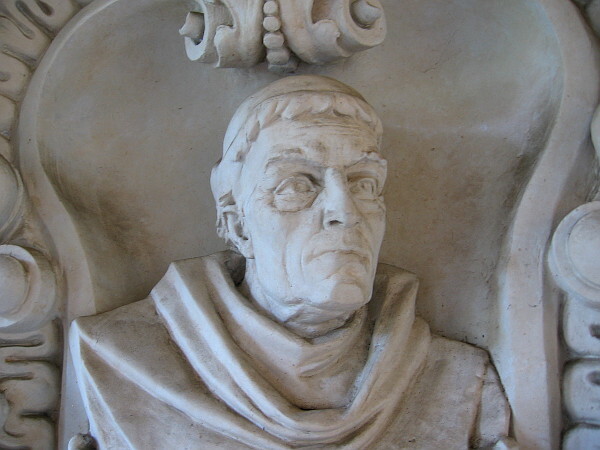 Junipero Serra Memorial, 1914. 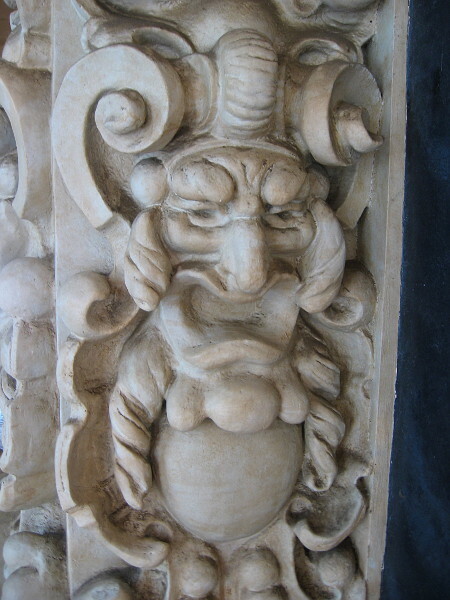 Staff plaster original ornamentation from the Food Products Building. Henry R. Schmohl, modeler. Angel Head Finial, 1971. 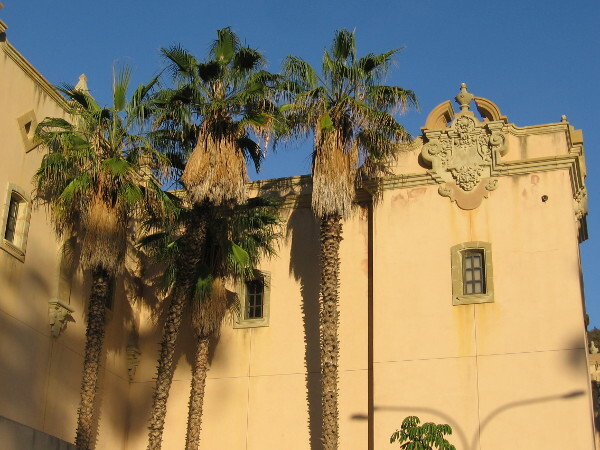 Unused cast concrete replica of 1914 original, for the reconstruction of the building now known as the Casa del Prado. Christian Mueller, Jr., modeler. 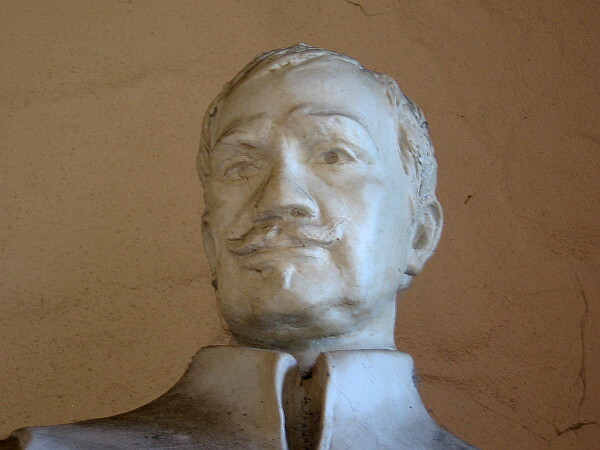 Velazquez, 1925. 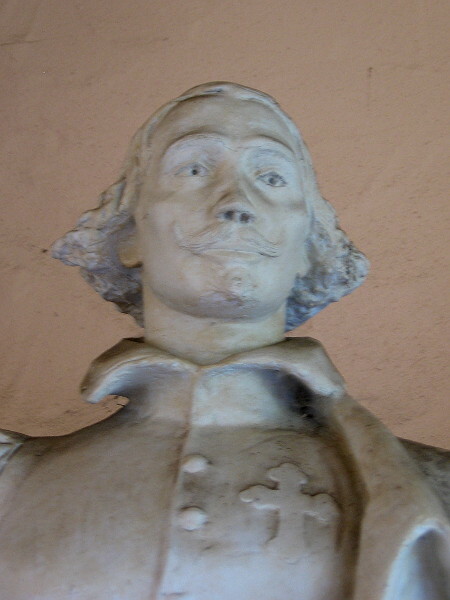 Original reinforced plaster-of-Paris casting model for the portrait sculptures above the entrance of what now called the San Diego Museum of Art. 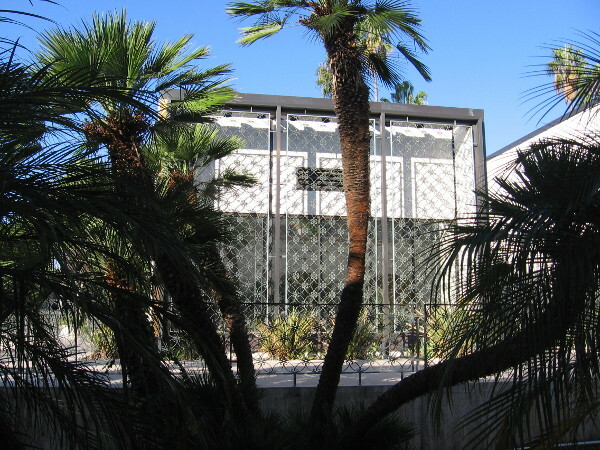 Designed by William Templeton Johnson. Murillo, 1925. 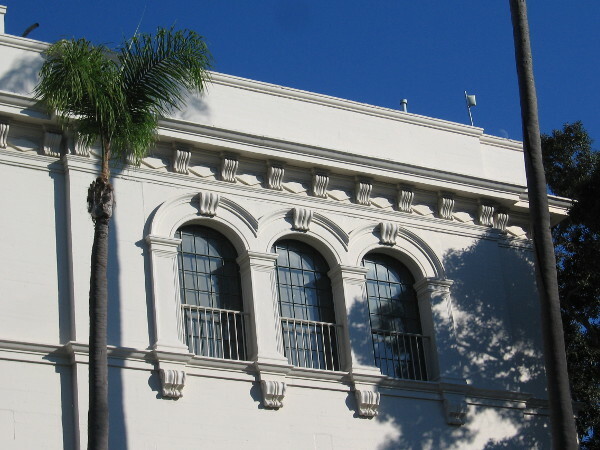 Original reinforced plaster-of-Paris casting model for the portrait sculptures above the entrance of what now called the San Diego Museum of Art. 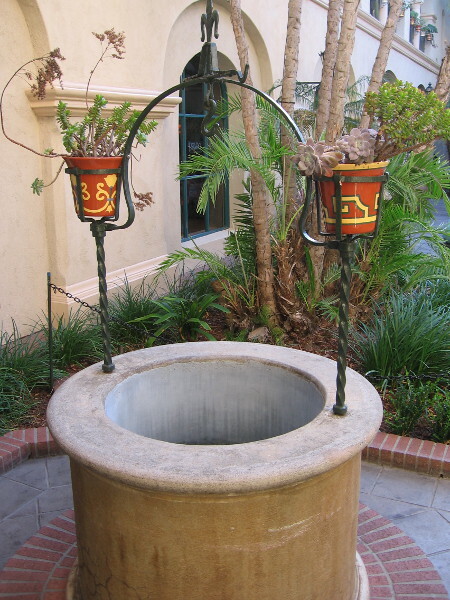 Designed by William Templeton Johnson. Zurbaran, 1925. 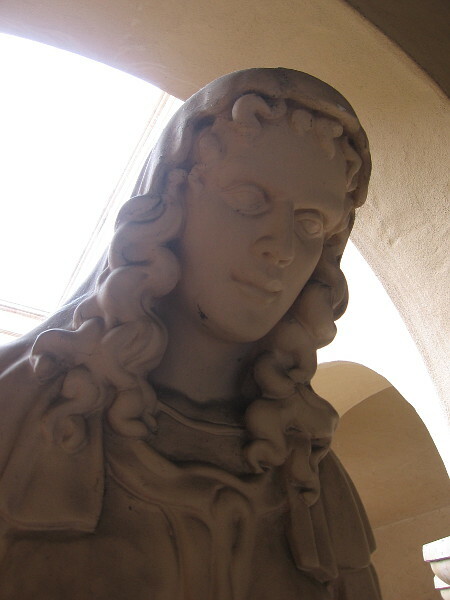 Original reinforced plaster-of-Paris casting model for the portrait sculptures above the entrance of what now called the San Diego Museum of Art. 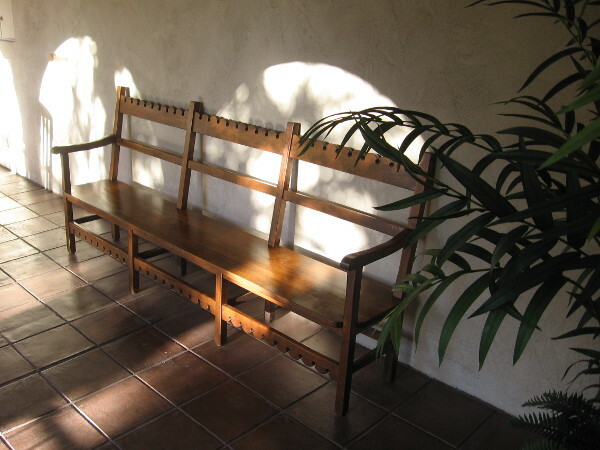 Designed by William Templeton Johnson. 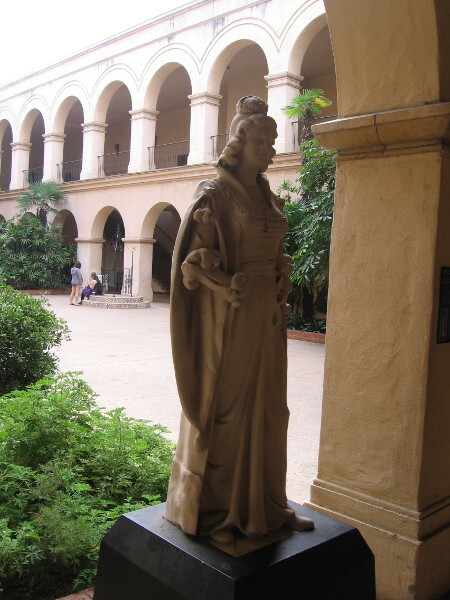 Posted on November 9, 2017 November 9, 2017 Tags art, artists, balboa park, buildings, casa del prado, history, junipero serra, panama-california exposition, photography, public art, san diego, sculptures, tourism, travelLeave a comment on The faces of the Panama-California Sculpture Court.